Psyft Assessments and Survey inventory is based on an Ipsative Test Framework (Rank Order Type Framework). This Forced-Choice design significantly reduces the human tendency of giving socially desirable responses i.e faking or gaming the responses. Using an Ipsative design increases the relevance, validity and effectiveness of conducting such assessments and employee surveys, etc. We are in this together! Our assessments & support team will assist you at all times. We would work with you directly, to understand your requirement, to plan your assessment/survey, to attend to technical aspects, to collect confidential data, to generate reports, to conduct follow - ups etc. Leave the complicated work to us! What type of an influencer are you? Find out. We thank Neha and her team for their support and extreme flexibility during our leadership bootcamp. The programme has been beyond expectations and the challenges really have helped the leaders return to their businesses better prepared for the coming year. Psyft proved to be an amazing program partner. We would definitely be coming back to them for more. Psyft provided us some superb assessment services. The process was uncomplicated; we got detailed and very clear instructions at every stage. The interviews and assessment have been received very positively. I was extremely impressed with their depth of knowledge, quality of instruction and professionalism; simply said, they know their stuff and were great at coaching our in-house trainers. We wanted a quick cost effective solution to conduct an employee engagement survey across multiple locations concurrently. Psyft's survey questionnaire was crisp and the reporting provided meaningful insights. We were also really happy with their service quality and professionalism. It was a pleasure working with Psyft and I believe their 360 Degree Feedback Survey helped us in dealing with challenges at work place better and more effectively. The proxy indicators chosen for 360 degree analysis were very pertinent in my view. I found this exercise worthy of every paisa if we were to use it meaningfully and looking at it sincerely and honestly. Wish them all the luck for their future endeavors. The Hindu covers Dr. Neha Manchanda's insights on why psychometric assessments have become game changer in Hiring. DNA covers insights shared by GreenThumbs CEO Ankur Manchanda on what the year 2018 holds for HR. GreenThumbs Founder, Ankur Manchanda shares insights with Dataquest on the emerging HR trends for 2018. Get a free 15 minute consultation call with us. We'll understand your HR goals & help you accomplish them. After Filling Form Personality Assessment Sample Report Will Open. After Filling Form Personality Assessment Student Sample Report Will Open. After Filling Form 360 Degree Feedback Sample Report will open. After Filling Form Employee Engagement Sample Report Will Open. Please Provide Your Information, We Will Contact you as Soon as Possible!. PSYFT may, but is not obligated to, monitor or review (i) any areas of the Site where users transmit or post user content, including but not limited to areas where Services are available, and (ii) the substance of any user content. To the maximum extent permitted by law, PSYFT will have no liability relating to user content arising under the laws of copyright, libel, privacy, obscenity, or otherwise. Intentionally or unintentionally violate any applicable local, state, national or international law, or any regulations having the force of law. Wherever use of the Site or certain Services of the Site require user registration, you will be required to provide certain registration details (the "Registration Data"). Provide correct, accurate, complete and up to date information about yourself as required by the Sites registration form. 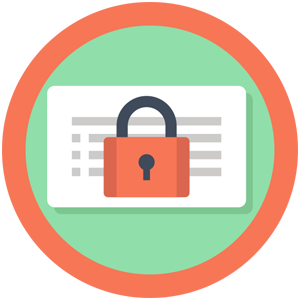 Maintain and update your Registration Data to keep it accurate, complete and up to date. You are fully responsible for maintaining the confidentiality of your account and for all activities carried out using your account information. You agree to notify PSYFT immediately of any unauthorised activity using your account information or if you suspect that the confidentiality of your account information has been compromised. The Site and the Services contained on it are provided on an "as is" and "as available" basis and that use of the Site and Services is at your own risk. PSYFT disclaims all warranties of any kind, whether by express or implied, including, but not limited to the implied warranties or merchantability, fitness for a particular purpose and non-infringement. PSYFT makes no warranties regarding the accuracy, reliability, quality or availability of service of any products, materials or services made available on the Site. Any damage to your computer or loss of data that results from the use of the Site or Services, or from the download of any material will be your sole responsibility and is done at your own discretion. No information or advice acquired from the Site or its' Services, whether written or oral, shall create any warranty not expressly stated. The Services will meet your requirements. The Services will be continuous, uninterrupted, timely, secure or error-free. The results that may be obtained from the use of the Services will be accurate or reliable. The standard and quality of any Services, products, information, or other material purchased or acquired by you through the Services will meet your expectations. You have the sole responsibility for adequate protection and backup of data and/or equipment used in connection with the Site and will not make a claim against PSYFT for lost data, inaccurate output, re-run time, work delays or lost profits resulting from the use of content. You agree to hold PSYFT harmless from, and you covenant not to take any legal action against PSYFT for any claims based on using the Site, whether in contract (including fundamental breach), tort (including negligence) or otherwise except where PSYFT is prevented by law from making such exclusions or limitations. The Services on this Site may provide links to other World Wide Web sites or resources. Because PSYFT has no control over such sites and resources, you acknowledge and agree that PSYFT is not responsible for the availability of such external sites or resources, and does not endorse and is not responsible or liable for any content, advertising, products, or other materials on or available from such sites or resources. You further acknowledge and agree that PSYFT shall not be responsible or liable, directly or indirectly, for any damage or loss caused or alleged to be caused by or in connection with use of or reliance on any such Content, goods or services available on or through any such site or resource. Psyft Personality Assessment (PPA) is one of the Best Personality Assessment available today. It's a fake resistant psychometric test based on the Big-Five Model of personality, one of the most well researched and popular psychological theories. PPA has been developed by team of qualified psychologists and has been validated by industry experts. PPA helps gain insights on how an individuals' personality (person’s character, temperament and behavioral preferences) affects his/her work performance, etc. The test measures personality along five dimensions namely, Openness, Conscientiousness, Emotional Sensitivity, Agreeableness & Extraversion, including four sub-traits each. 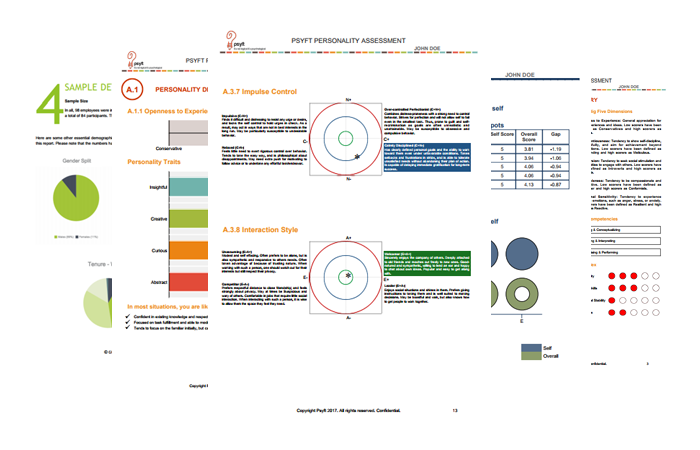 Psyft Personality Assessment is known for its proven accuracy and sophistication. Instead of a Normative format (Likert rating scale type), Psyft Assessment Tools follow an Ipsative Test Framework (forced choice design), which significantly reduces the human tendency of giving socially desirable responses and faking the assessment. Psyft facilitates psychometric assessments for Students as well, this helps children/students understand themselves better and work towards their healthy development. It enables them to choose the right education course, make an informed career choice, etc. To provide the best experience possible for assessment takers, PPA has been made a mobile responsive personality test, i.e you can also take the test on your mobile phones! Get your free trial today! Psyft has also been covered (both online and in print) by publications like DNA, Entrepreneur, People Matters and many more. The Hindu and India Today have specifically mentioned PPA's utility in hiring. Psyft provides best 360 Degree Feedback Survey, that is not only simple to conduct but also highly effective. 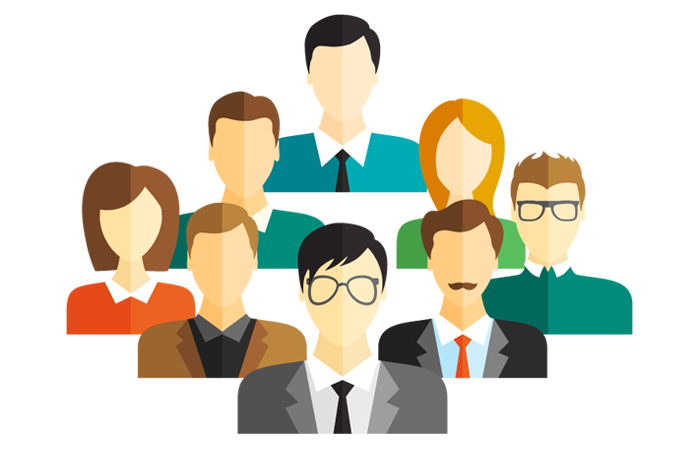 360 Degree Feedback survey evaluates employees from different stakeholder perspectives - for e.g. managers, peers, direct reports or even customers. 360 Degree Appraisals are an efficient method for conducting successful performance reviews at organizations. Psyft offers a multi rater feedback survey tool to evaluate employee conduct, performance, behavior, competency level, expertise and much more. The best part is that these are fully confidential and anonymous. Employee Engagement is about the emotional commitment employees have to their organization and its goals. Engaged employees act a brand ambassadors for their organizations, willing to do more than the bare minimum and put discretionary effort into their work. Employee engagement is directly linked to critical business metrics like productivity, revenue growth and retention. Find out if your employees will go the extra mile for their organisation by using the Top Employee Engagement Survey tool and gain real time employee feedback to keep them engaged at every step! Psyft employee engagement tool takes into account as many as 12 business relevant competencies and dimensions vital to keep employees engaged at work. We also calculate the Employee Net Promoter Score (ENPS) giving organizations an insight on employee loyalty stats. Psyft arranges for free trials and demos, to help companies understand how the employee engagement software tool works. Psyft provides the Top Assessment Development Center (ADC) Services & Training Needs Assessment (TNA) services. We offer the most business relevant interventions, across industries. We also offer corporate training programs pan India. Our programs can be customized to suit the requirements of an organisation. 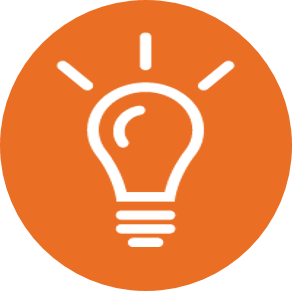 We assist organizations with unique training solutions that help improve employee competence, skills, knowledge etc.